Tomato-leaf gemelli with Benton’s ham, swordfish lardo, and pecorino crumble at Waypoint in Cambridge. Do you crave Southern food in slinky surroundings? Cool Ranch-flavored plantains from a legendary restaurateur? Sashimi or salumi from a celebrity chef? Veggies cultivated in a hydroponic hotel garden? All this and more could be yours this fall, when Boston enjoys an especially busy season of restaurant debuts from national names and hometown notables. Read on for a rundown of Boston’s autumn openings. The fine print: Restaurant debuts are always subject to change, so dates are tentative. Intel: “Fun, fast, and flavorful but not fussy” is how Cagle describes his venture with Schlesinger. “Think ‘Cheers’ (the one on TV, not the tourist destination) with tattooed servers and punk rock music. Maybe a mix between the B-Side Lounge and East Coast Grill?” If this combo doesn’t entice you, chef Ian Andreotta’s menu surely will — an eclectic assemblage ranging from chili dogs to red curry mussels to the aforementioned Cool Ranch plantains. There’s a patio, too. Intel: Pagliarini calls this 200-seat hotel restaurant a higher-end version of his Porter Square trattoria, Giulia, complete with a swanky private dining room and truffles served tableside, as well as a pasta table. Pastry chef Renae Connolly comes from Cambridge’s Café ArtScience. “She’s an absolute star,” Pagliarini says. Who: Joe Cassinelli, chef-owner of Alpine Restaurant Group (The Painted Burro, Posto, Rosebud). Intel: Expect a smaller-scale version of the Davis Square Burro within the old Ribelle space, serving tacos, tortas, nachos, and hopefully their signature hot dog topped with chipotle ketchup and agave mustard. Intel: The aqua-maned Santos helms this 150-seat, Bayou-inflected enclave, which he describes as having “the energy of Toro and the food of Hungry Mother — Southern ingredients prepared properly.” Santos, ever creative, says he’ll cast aside gumbos and jambalaya in favor of biscuit buckets, house-fried chicken with Nashville hot sauce, and Scorpion bowls. At the entrance? A small bar with champagne on tap to set the mood. Intel: BNV chief culinary officer Bill Brodsky wonders, “Who doesn’t love a good meatball?” Who indeed! He’ll serve six types of balls with sauce pairings, plus unusual combos like turducken balls, cashew-curried vegetable balls, and bao balls atop steamed bao buns. Intel: Savor foraged food, sustainable seafood, and dry-aged meats inside Boston’s first skyscraper, with many ingredients coming from the restaurant’s hydroponic and hanging gardens. “This is modern American food with a huge emphasis on the modern garden concept,” Dumont says. Intel: Frattaroli oversees this waterfront gastropub on the site of his grandfather’s former woodshop. But times have changed. “Now there’s tons of Italian, Mexican, and Central American food here, so I wanted to do traditional pub food,” he says. There are 65 seats, a 35-seat roof deck, and what Frattaroli describes as a “really good burger on an English muffin.” Brunch, too. Intel: Romano and Joy hope to revive the Inman Square institution with a bigger drink menu, plus many of the spicy barbecue dishes fans knew and loved for 30 years. The original restaurant closed in January, much to the neighborhood’s dismay. Intel: Eataly Boston will have “the best seafood ever — and different than in other Eataly cities,” promises a rep for the Italian dining and shopping emporium. 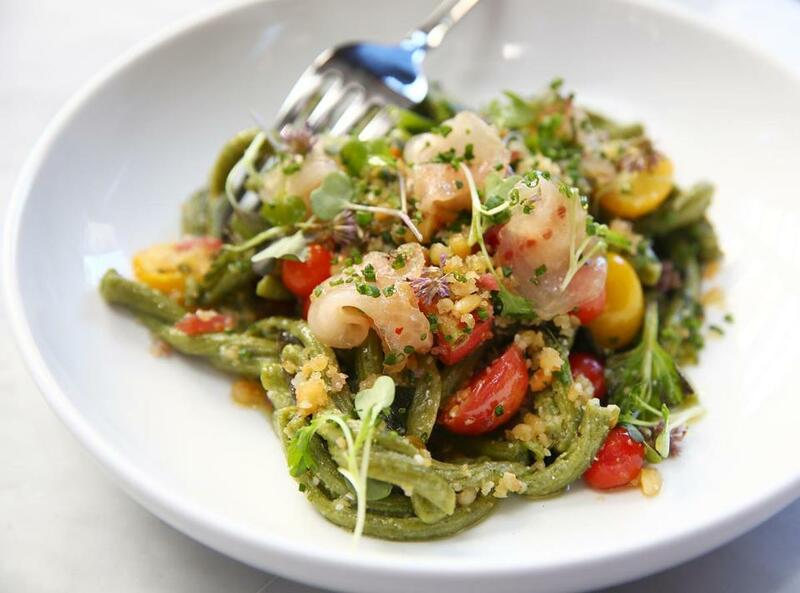 The 45,000-square-foot gastroplex at the Pru will also have a La Pizza & La Pasta restaurant (serving the obvious), plus a seafood restaurant, Il Pesce, and a hands-on cooking school. Who: Ben Lacy (Ten Tables Cambridge), Devin Broo (Bar Boulud), and Classic Restaurant Concepts (forces behind The Asgard and The Kinsale pubs). Intel: The old Sandrine’s space morphs into a small plates restaurant with 132 seats and a menu divvied into “farm,” “land,” “sea,” and “garden,” plus a 17-seat bar with wines on tap. 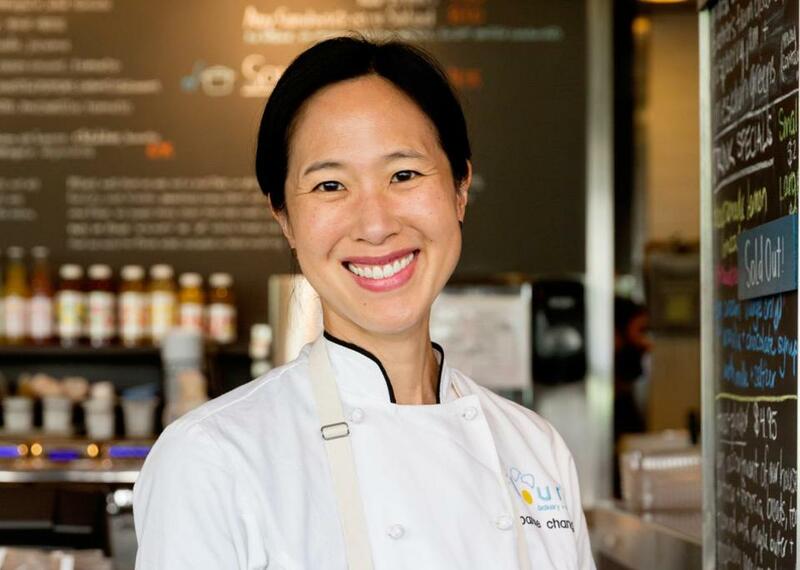 Joanne Chang, owner of Flour Bakery and Cafe. Intel: This is the first of several new Flours for Chang, including upcoming outposts in Kendall Square and the Back Bay. It is, however, the only one with the distinction of being housed in a former Chili’s. Intel: Committee is a nightlife destination; here, it’s all about Greek food on the go, with meats from Savenor’s Market; produce from Eva’s Garden on the South Shore; and loukoumades (Greek doughnuts) topped with honey, sesame seeds, pistachios, and other treats. Who: Pedro Alarcón, chef-owner at Watertown’s 20-year-old flagship. Intel: A patio! An outdoor bar! Live music! A ceviche bar, and even a takeout cafe! La Casa de Pedro brings a splash of Latin excitement to the Seaport, with dishes from Venezuela and beyond. The Watertown original is routinely jammed with couples, families, and boisterous groups swilling mojitos — expect the same here. Who: Mohamad El Zein, former operations director for Masa, and Rod Ouassaidi, owner of South End Pita. Intel: Moona translates to “pantry” in Arabic. As such, expect a focus on preserved ingredients like olives, pickles, cheeses, spices, and jams, used in Arabic and Eastern Mediterranean dishes designed to share. Intel: Boston gets its own two-story version of San Francisco’s lauded sushi bar and izakaya, tended by Benjamin Steigers from the California original. Mina’s excited for Boston’s seafood scene — “my very first restaurant [Aqua] was all fish,” he says — and an extensive charcoal-cooked meat program. Also look for multi-course sushi menus with ingredients from Tokyo’s Tsukiji fish market and Japanese whiskey aplenty. Intel: A family-friendly yet sophisticated suburban boite with 100 seats, an open kitchen with a 25-seat dining counter, and a lounge. 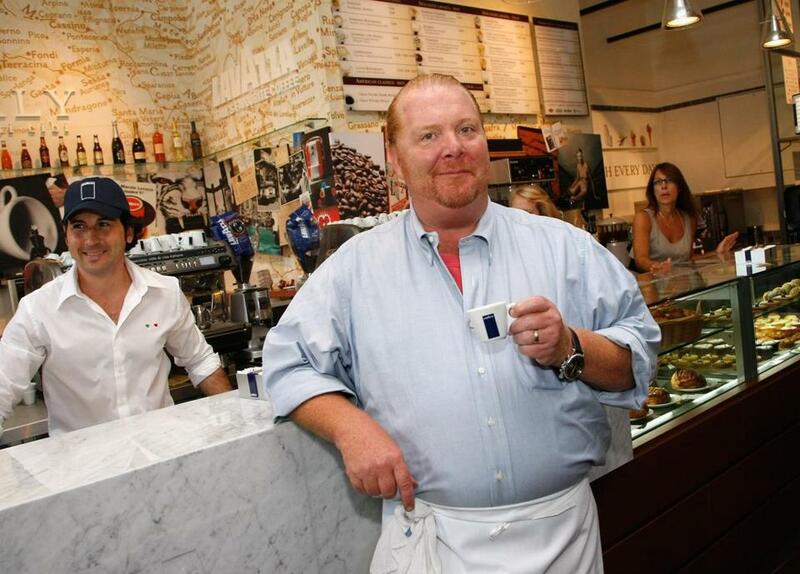 “We have an American menu with global influences. It’s a place you could go every day and have a burger or do a chef’s tasting menu,” says Klein, eager to bring a refined restaurant to the ’burbs (she’s also a resident). “I want a place I can go with my friends. Needham’s a great town with worldly people who enjoy food and eat out all the time,” she says. Intel: RUKA will grace the Godfrey’s lobby with a style of Peruvian-Japanese fusion known as Nikkei. Executive chef Preston Miller worked with chef April Bloomfield at New York City’s Michelin-starred The Breslin. Intel: Enjoy caviar service, roasts, a bakery program, pizza (the chopped clam version, above), and plenty of regional seafood from the Alden & Harlow team, with local help: Dine on plates designed by Boston ceramicist Jeremy Ogusky amid neon signage from collector Dave Waller. This is merely the beginning, of course. Also expect a branch of Island Creek Oyster Bar in Burlington, a Boston deli from Tasty Burger’s Dave DuBois, a waterfront restaurant at The Eddy luxury apartment in East Boston from former Pigalle chef Marc Orfaly, an Italian restaurant called MIDA in the South End, and the Seaport’s Oak + Rowan from the team behind Newburyport’s Ceia and Brine, with tableside liquor carts and a caviar program.